Trusted Lori Monaco's reputation for over 30 years! Lori Monaco is the proud recipient of the 2016 NJ Realtors Circle of Excellence Sales Award Bronze. The NJ Realtors Circle of Excellence Award is considered one of the most prestigious honors awarded to Realtors in the state. Lori Monaco, former Broker/Owner of Monaco Realty brings the new and exciting LIST4LOWER REALTY, LLC, where commissions are LOWER! Saving Sellers THOUSANDS in commission dollars and puts more money in the sellers pocket! Technology has saved our industry thousands in marketing dollars, LIST4LOWER Realty simply pays it forward, passing the savings on to the seller. Naturally, some restrictions apply and some distress sales may be excluded. My area of expertise is Nutley, Belleville and Bloomfield, NJ. When you are ready to sell a home, condo/townhome or investment property in Nutley, Belleville or Bloomfield, NJ I can help. If you are considering selling your home, please consider me, Lori Monaco! I am eager to assist you and/or submit a comparative market analysis at no cost or obligation to you, of course! I specialize in Nutley, Belleville, Bloomfield, NJ and I know the local market. 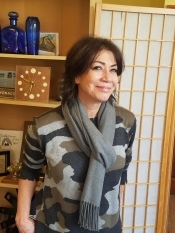 Lori Monaco (formerly of Monaco Realty) has been your Nutley, hometown Realtor for over 30 years. 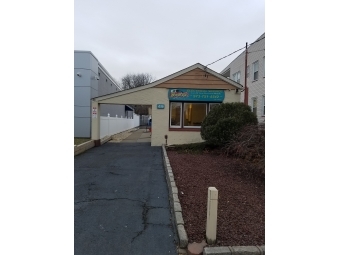 Now opened the new and exciting,List4Lower Realty an independent office, utilizing all necessary tools to help you buy or sell in Nutley, Belleville and Bloomfield, NJ. We realize buying or selling a home is one of the biggest decisions of your life. It is business, but it is your personal business. Let me help you, you will be pleased you made the call. Please call or email with any questions you may have. It is my pleasure to help you achieve your real estate needs and help you to keep your equity where it belongs, in YOUR hands!